This neighborhood looks pleasant to outsiders, but is actually a place of rivalry and turf wars. Inside each home is a gnome household vying for control of the block! Each player controls several gnomes intent on battle for neighborhood control. You’ll pick out your gnomes, arm them, and fortify your yard to find out if you have what it takes to be the top gnome household. 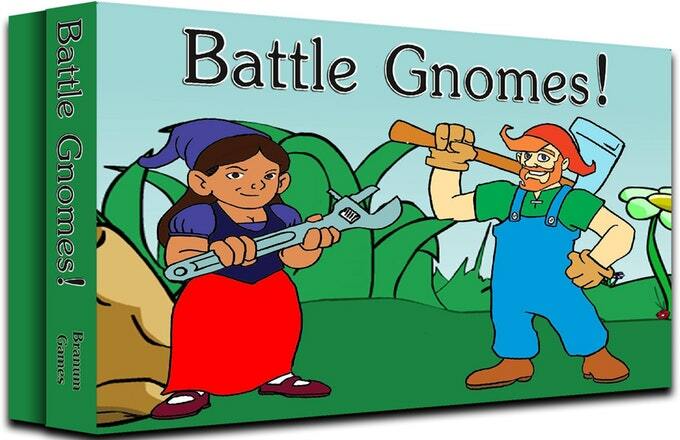 Listen to our Review - Battle Gnomes! Podcast 77 - Battle Gnomes!